At present, the main threat for the reefs is global heating. 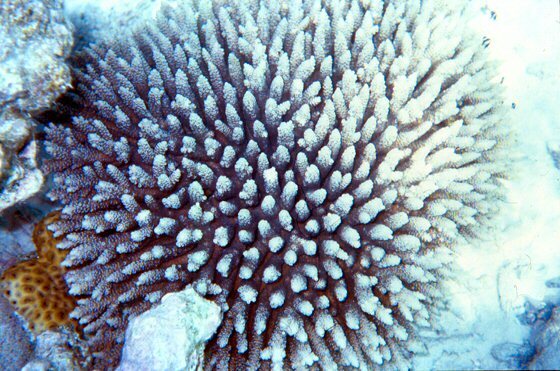 An increase by even just one degree centigrade in the mean temperature of the water can seriously endanger the microscopic algae (the so-called zooxanthellae) that live in the corals, supplying them with food and colour. If the situation continues for a few days, the coral pushes out the algae and turns paler, then it generally dies. Coral bleaching, as this phenomenon is called, has grown more frequent and more serious since the early Eighties. In 1997-98, an extended combination of El Niño and La Niña, which increased the water temperature to unprecedented levels, caused the most serious consequences ever on 16% of the world’s reefs in at least 60 different countries.